These five meals are popular with adults and kids alike, so I hope you enjoy them, and I hope it makes your week easier! Pretty detailed and delicious! Loved it! 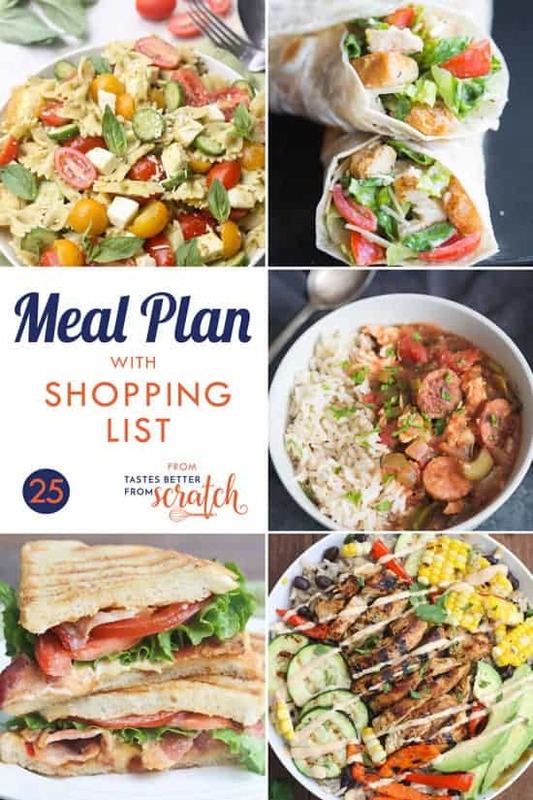 Thank you for making your yummy meal plans it makes my weeknights so much easier! This is absolutely amazing. Thank you. I discovered you today and I love everything. I love these I am post gastric sleeve and finding this so helpful for trying all the new things over again as I have to start over in regards to knowing what foods go well and having other family members to feed it’s so diverse I love it! thank you so much. Wow! Just found your site today and its awesome! Cant wait to try these out and share with my family!! The shopping list link doesn’t work. Can you try to link it again? Is this for a family of 4?